So, I'm not actually from Texas and I don't really say howdy. 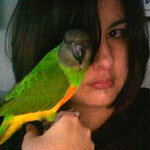 I'm Melisa and I am owned by three parrots, soon to be four! I have a Senegal male named Pippin (2 yrs) , a Meyers female named Dax (13yrs) and a Red Belly male named Nicholas/Nicodemus (7 yrs). 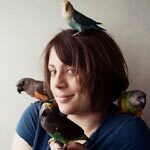 I work with baby parrots, hand feeding and caring for them and also with some adult parrots. I've already made some posts in the forums but I figured I'd introduce myself properly. Hey! It's nice to meet you and your flock, Melisa. Welcome to the forum. But still glad you're here!